Our 100% online OSHA Hearing Conservation training course helps workers who are exposed to hazardous noise in the workplace to meet Federal and State OSHA Hearing Conservation requirements per OSHA standards. The online OSHA Hearing Conservation Training course should be taken by employees who are subject to hazardous noise exposure at work. The course is designed to help employers and workers meet the Federal and State OSHA Hearing Conservation requirement outlined in OSHA regulations. Course topics include: OSHA standards and guidelines; Effects of noise exposure; Hearing protection devices (HPDs) – Selection, fit, use and care; Audiometric testing and employee monitoring; and more. View a detailed course outline below. The employer shall train each employee who is exposed to noise at or above an 8-hour time weighted average of 85 decibels in accordance with the requirements of this section. The employer shall institute a training program and ensure employee participation in the program. For information on OSHA Safety training requirements or the Safety training courses we offer, visit our OSHA Safety Training page. This course should be used as a training tool within a comprehensive hearing conservation program designed for employees. This Online course includes up-to-date, high quality training provided through a state-of-the-art Online Training System (OTS). The training is fully narrated, self-paced with saved progress, and available 24/7. Interactive elements and quizzes help students retain the course material. A detailed student manual (PDF) is included with the course, providing the student with a convenient resource for referencing course material and taking notes. To ensure your complete satisfaction, we offer a 100% Money Back Guarantee*. What is hearing conservation? | OSHA standards | Frequency and scope of training. Physics of sound | Anatomy and physiology of the ear | Noise | Effects of noise exposure | Hearing loss | OSHA guidelines. Engineering and administrative controls | Hearing protection devices (HPDs) | Advantages and disadvantages of common HPDs | Noise reduction ratings | Dual protection. Hearing protection device selection | What is the best HPD? | Proper fit and HPD effectiveness | Earplug insertion technique | Fitting common HPDs | Proper use of hearing protection | HPD adequacy. Employee monitoring | Audiometric Testing | Baseline audiograms | Annual audiograms | Follow-up procedures | Recordkeeping. Hazardous noise | Hearing protection devices | Audiometric testing | Hearing conservation program. The objective of the OSHA Hearing Conservation Training course is to help employers and workers meet the Federal OSHA Hearing Conservation requirement outlined in OSHA regulations. It is intended that State OSHA Hearing Conservation training requirements be met as well. Within our Online Training System (OTS), this course consists of the 6 sections listed below. This course is designed to help employers and workers meet the Federal OSHA Hearing Conservation training requirement outlined in OSHA regulations. It is intended that State OSHA Hearing Conservation training requirements be met as well. OSHA’s website provides a Health and Safety Topic for Occupational Noise Exposure, which offers a number of excellent resources regarding hearing protection and OSHA’s hearing conservation requirements. 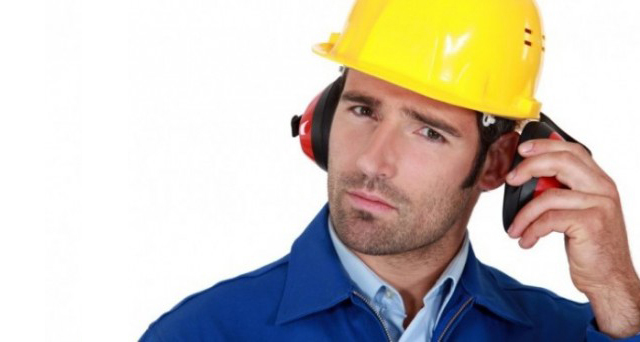 Please note that this OSHA Hearing Conservation training course provides valuable information on OSHA hearing protection and conservation, which applies to the general population of employees who are exposed to hazardous noise on the job. This course is not meant to replace company-specific training provided by your employer on equipment use and procedures for your particular work environment regarding hearing conservation. This training should be used as part of an overall hearing conservation program. You must be trained by your employer on the hazards, equipment, engineering and administrative controls, safe work practices and emergency plans specific to your role and workplace.